Fabtech 2018 is coming up in Atlanta on November 6th-8th, and TCI will again be attending this year. 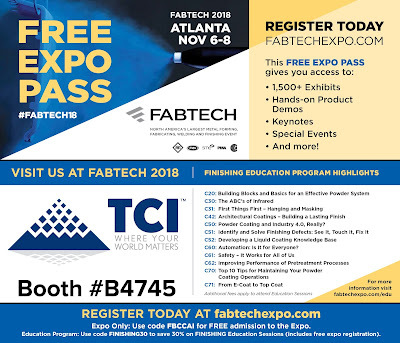 We're offering this free expo pass, below, for your registering convenience. Fabtech is known for pioneering exhibits, countless education experiences, and great networking opportunities. Don't miss out on this great experience!